HomeHealthcare Software DevelopmentWHY CHOOSE MIRTH CONNECT AS YOUR HL7 INTERFACE ENGINE? Why are healthcare information systems important? 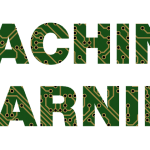 The information technology has been witnessed in the healthcare industry with a phenomenal growth. The development led to the problem with the development of healthcare-related computer systems on a computer network facing a problem of mutual communication when the systems speak different languages. In other words, there are many different standards of healthcare with wide and variant range of protocols and types of data. Moreover, there are different kinds of health information systems such as labs, pharmacies, clinics, hospitals, medical research facilities etc. Each of these systems may have a different combination of protocols, mismatch versions, and data that is incompatible. The need for a common language rises in a scenario when there is interoperability and communication is required in such medical environments. This problem was solved by HL7 International in the form of establishing an HL7 standard for communication and interoperability of different healthcare systems but it needed a central interface that could facilitate the disparate systems trying to communicate and interoperate with each other. How to use mirth connect with HL7? 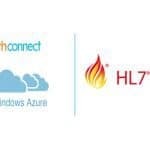 Mirth Connect is an open source, cross-platform interface engine that supports bi-directional sending of HL7 messages between systems and applications. 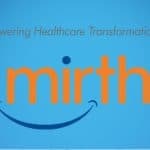 In simple words, Mirth Connect is a middleware that connects health information systems so the exchange of clinical and administrative data in medical facilities is made possible. Mirth generally allows messages from Healthcare Information Systems (HIT) systems and allows messages to be filtered, transformed, and routed based on user-defined rules. Filtering, transformation, and routing of messages are the ways Mirth Connect allows the sharing of data. The salient attributes of the Mirth Connect interface engine are given below that provide the big picture of its utility and capability. Mirth is a software that primarily moves and translates data from one system to another. It makes the communication and interoperability of computer systems possible. It is Electronic Medical Records (EMR) Agnostic which means that it is interoperable with EMR. It has a Cross-platform functioning capability. Highly flexible for Message and Datatypes. As pointed above in detail, it supports multiple protocols. It also supports multiple message formats. It can provide multiple routes, transformations, and filters. The Mirth connect interface provides statistics for messages and status of active connections. Errors inside messages can be easily dealt with and reprocessed. Interface problems can be sorted out by sending email alerts. 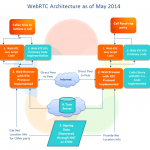 Provides scalability as features can be added in a short time. It is a cost-effective solution without any upfront licensing cost and no additional hardware cost. Mirth connect has tremendous benefits in terms of cost, operability, extensibility, scalability and more. Mirth Connect is a free and open source and the makers of Mirth Connect have made it possible for everyone in public to use and implement this technology. It can be downloaded free from the com website. There are literally over hundreds of thousands of deployments of Mirth Connect throughout the world. The extensive and serious use of Mirth Connect makes it a trustworthy technology in the medical healthcare industry. Moreover, Mirth connect is professionally supported by the WebReach, a health information technology solution company situated in California. Mirth Connect is highly extensible as it can be extended with the addition of other software modules for an array of different interoperability requirements and to extend its capabilities as a basic installation. 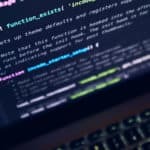 Aside from being open source, it allows custom scripting and goes beyond the options in the user interface available in its native installation. Mirth Connect is highly scalable and it can run on very small and affordable devices like Raspberry Pi to very large-scale enterprise services and cloud-based setups. There is no need to consume staff time or manual entering of appointment confirmations. The Mirth Connect shares its capabilities with CMR. CMR (Crimson Medical Referrals) is a 3rd party web-based system for managing referrals. When staff accesses the CMR website, all the patients’ demographics and order information are automatically entered preserving time and effort. Mirth connect provides faster and more accurate referral processing. 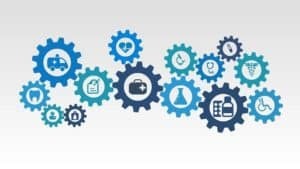 In large medical facilities such as where there are 21 physicians, it becomes extremely labor intensive while the information becoming error-prone if technologies like Mirth Connect is overlooked. Higher reimbursement rates are allowed by some payers due to NCQA Recognition. Mirth Connect is a very versatile piece of technology that can make the lives of professionals working in the healthcare sector easier and provides a platform for innovation that can drive medical healthcare technology further.